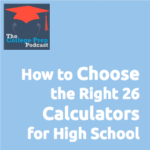 Having the right calculator can effect your math scores on the ACT and SAT, yet too many students have the wrong calculator with them. 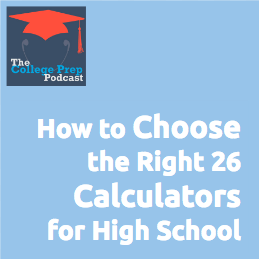 Megan walks you through how to get the right calculator ahead of time. If you’d like some extra reading, here are the calculator policies for the ACT and the SAT. « 214: Should You Improve Academic Skills Over the Summer?